Google will always tell you the fact that you don’t have to have a huge AdWords budget to get the best out of PPC advertising. They almost guarantee you the fact that you will be highly benefitted from your investment even though your budget is the smallest of the lot. But that doesn’t mean that you shouldn’t pay special attention to your AdWords campaigns even though you have a petty little daily budget. You have to ensure that each of your dime is getting its value to the fullest. After all it’s your hard-earned money. 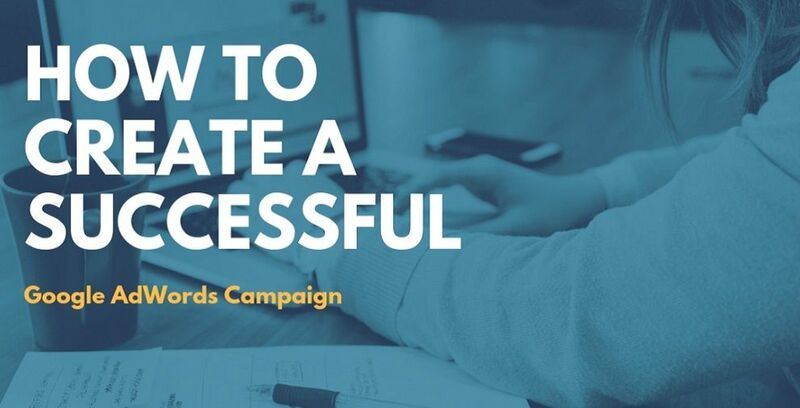 Well anyway, here are a few helpful tips for you through which you might be able to create a successful Google AdWord campaign. The most important criteria of planning a successful Google AdWords campaign is to have a clear and definite goal. What’s your aim? Why are you planning to delve deep into your campaign? Is it only for marketing or do you want to raise your brand awareness? You need to figure that out first before moving on to the next steps. So what is a negative keyword? Negative keywords are considered those specific keywords that aren’t related to the ideas or things advertised by your campaign. Negative keywords aid in streamlining the content of your ad. Meaning, it helps to target only those users who can actually benefit from the things advertised by your campaign. This helps to generate more relevant clicks and gives you the best possible results. Always remember that you ad needs to be as accurate as it can be on basis of your landing page. If it’s something different, your ad will be considered misleading as a result of which your reputation’s bound to go down the drain. Misleading customers will damage your brand value beyond repair. So the best bit of advice will be NOT to do it for any reason whatsoever. If you want to create a successful Adword strategy, a thorough competitor research is a must. Your digital marketing arsenal is incomplete without competitor intelligence. Competitor intelligence typically includes keywords performing like a beast for your competitors. Certain tools like KeywordSpy can aid you with that. Okay, I know that it’s easier being said than done but with a bit of time and imagination you can definitely make it to perfection. I will provide you with a few helpful tips though that might help you a lot specifically in this aspect. Value for money: Your offer must look like a great deal on paper. The customers must feel that they are getting absolute value for money specifically when your advertisement is concerned. Should not look too good to be true: The pricings should be believable enough. It must not be too low or too high such that it goes beyond all beliefs. Things like that will do you more harm than good to be honest. An assurance: Every customer wants a guarantee that their money is in safe hands. No one wants to lose his/her hard-earned money. Provide that guarantee in your ad itself. A CTA button: Last but not the least, you ad must exhibit a call to action (CTA) button in the end that should be compelling enough to instigate immediate action. Some of the examples of such CTA buttons include the ones like “sign in”, ”buy now”, “log in” etc. Never ignore your mobile users. Otherwise, you’ll always be at a loss. Ensure that your AdWord campaign is optimized enough for the benefit of your mobile users. This will definitely benefit you in the long run. Planning a successful Google AdWords campaign isn’t just a piece of cake. But it’s doable for sure. With a bit of patience, research and imagination, you can definitely set up one in almost no time. Good luck.